Our environment is suffering and our resources are depleting because we use too much of everything. Did you know that taking small steps to save our environment can also help you save money? 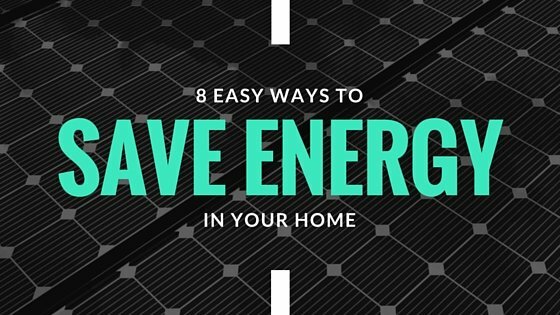 If you follow one or all of the tips below, you can actually see real savings on your energy bill. You don’t need to do everything but you can do something. In a typical U.S. home, appliances and electronics make up about 20% of energy use. The first step is to look for Energy Star labels when buying appliances and products. 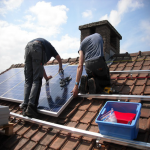 Energy Star labels are strict guidelines created by the U.S. Department of Energy and Environmental Protection Agency for energy efficiency. 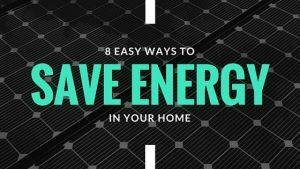 Follow some of these tips to help make the environment better for our future generations and save money at the same time. Light bulbs: Use energy saving CFLs (Compact Fluorescent Light bulbs) instead of the conventional incandescent light bulbs. Although CFLs cost 3-5 times as much as the incandescent light bulb, CFLs only use one-quarter of the electricity and lasts years longer. Each CFL bulb contains 5mg of mercury so you will have an extra item to sort in the recycling bin. Dishes: Never load your dishes in a dishwasher unless they are a full load. Air-dry dishes instead of using a dryer. Laundry: Wash clothes with warm or cold water instead of hot water when you can. Instead of using a dryer, air-dry or hang your clothes on a clothes line. Don’t use the dryer unless it houses a full load. Refrigerators: Think of what you want to take out before you open the refrigerator. Leaving the door open will waste extra energy. Showers, less Baths: Take Taking showers instead of baths will reduce water usage and also lower your heating bill. Turn Off all Appliances Not in Use: Turn off all lights, computers, and electronics when they are not in use. Plug all your electronics such as computers, TVs, and DVDs into power strips. Using a power strip can reduce electricity used to power home appliances. Even when your appliances are turned off, energy is still being consumed from the outlet. To avoid extra energy costs, unplug the appliance or use a power strip. The power strip has an off button to cut all the power from the appliance. Weather-Strip Windows and Doors: Check windows and doors for air leaks. Air leaks can be sealed by caulking or weather-stripping. By securing the leaks in your home, hot and cool air will be kept in your home longer. Less heating and cooling will help you save on energy costs. Look for Energy Star label: Energy Star labels are only given when appliances and products meet strict guidelines of energy efficiency from U.S. Department of Energy and Environmental Protection Agency.